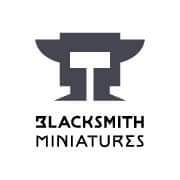 BLACKSMITH MINIATURES is a French miniature company located in Lyon. With a solid experience of 5 years in the conception of high-quality miniatures, our company relies on a team of demanding and motivated enthusiasts. We put all our know-how and skills at the service of creativity and quality. Magnificent series of high-quality 54 mm miniatures in resin to collect and paint, based on the illustrations of Jean-Baptiste MONGE.